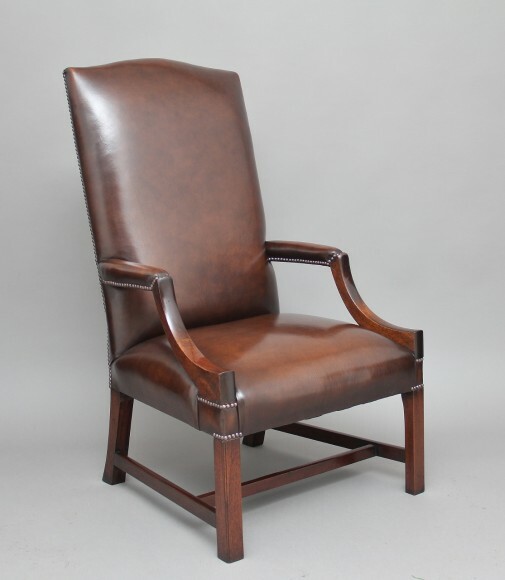 Early 20th Century mahogany library chair upholstered in a brown leather, having a nice shaped high back with brass stud decoration, leather padded arms and shaped arm supports, standing on square legs united with side and front stretchers. Lovely quality and in excellent condition. Circa 1930.